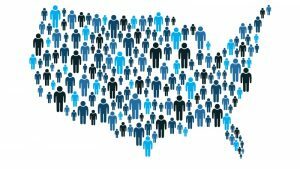 The U.S. Census next year may exclude a question regarding citizenship when it collects the number of residents to determine congressional seats. A federal judge ruled against the question Tuesday, now the case is expected to go to the U.S. Supreme Court for a final decision. Despite what many critics claim, the citizenship question is not new to the Trump administration, nor is it intended to round up illegal immigrants. 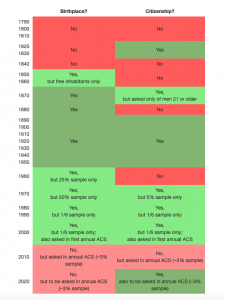 History of Census citizenship question. The 2010 Census showed 17.5 million non-citizens living in the country, and 286.9 million U.S. citizens, and we failed to notice a crackdown then on immigration raids across the country. The Justice Department says it needs the information to better enforce the Voting Rights Act. And, the Census Bureau already conducts a monthly survey used by the Bureau of Labor Statistics for unemployment numbers, and since 1994 has asked about citizenship, country of birth, and year of arrival in the U.S. But for some reason, liberal critics now claim asking the question will prevent some from filling out census forms, which are required of all residents who face a fine if they refuse. State Senate President Leroy Garcia claims the question will have some form of chilling effect on Colorado. We suspect this is the real reasons Democrats want the question stricken from the Census. For instance, if the citizenship question survives the long court battle, it could cost California several congressional seats by removing illegal immigrants from the re-districting population counts. Uh oh. All those illegal immigrants Democrats have hungered for as voters, might actually cost them a congressional seat. And power.